Thanks to smartphones and their incredible cameras, almost anyone can shoot videos to their heart's content. Though most people record videos in horizontal or landscape orientation, from time to time, you'll come across vertical or portrait videos. Now, videos recorded in portrait mode can be viewed on smartphones without a problem. However, on a big screen like your monitor, it doesn't look good. One thing you can do is rotate them so that it fits the screen. 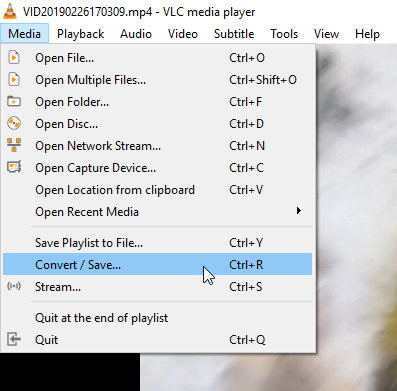 Since almost every Windows user already has the VLC media player installed, you can use it to rotate and save videos. Here's how. Note: before making any changes to the original video, make a copy of it. 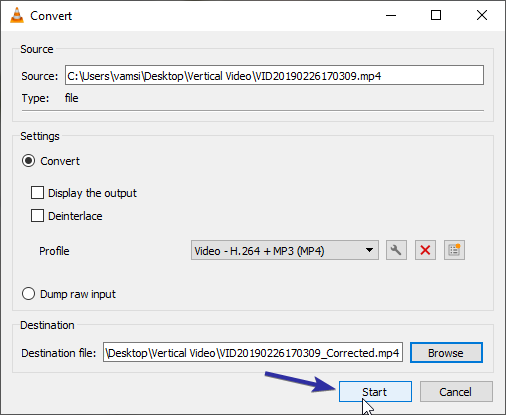 If you just want to rotate the video temporarily, VLC has the option for that. If you want to rotate and save the video, then follow the second part after this. 1. To start off, open the video with VLC. While the video is playing, pause it. Next, go to the "Tools" tab and select "Effects and Filters" option. 2. The above action will open the Adjustments and Effects window. 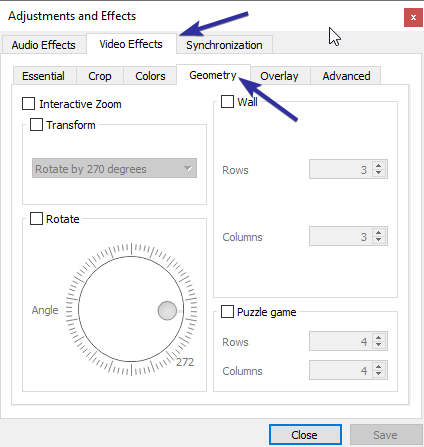 Here, go to the "Video Effects" tab and then click on the "Geometry" tab. 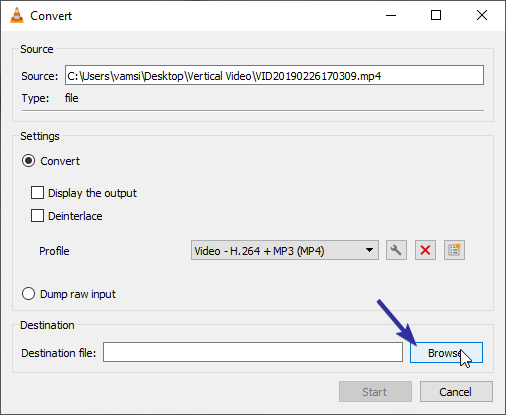 This is where you'll find the relevant options to rotate the video in VLC. 3. 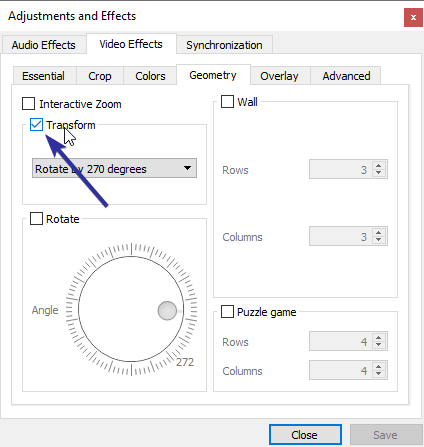 Since we just want to rotate vertical video to horizontal, select the "Transform" checkbox and select "Rotate by 270 degrees" or "Rotate by 90 degrees" from the dropdown menu. 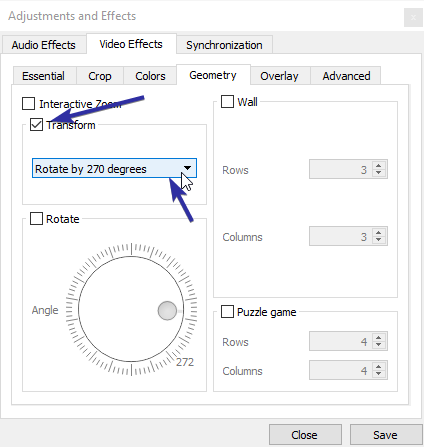 Depending on the video, one of these two options show rotate the video in the proper orientation. For instance, in my case, "Rotate by 270 degrees" worked perfectly. Since you can see the changes in real-time, make a selection and hit the "Save" button. That is it. Now you can enjoy your favorite video in its correct orientation. Do keep in mind that every video you open from now on will have the rotation enabled. While watching other videos, you should uncheck the "Transform" option in step 3. To save the rotated video, you need to apply the transformation and convert it. It is pretty simple. First, follow the above steps. Once you have the video rotated, follow the below steps. 1. 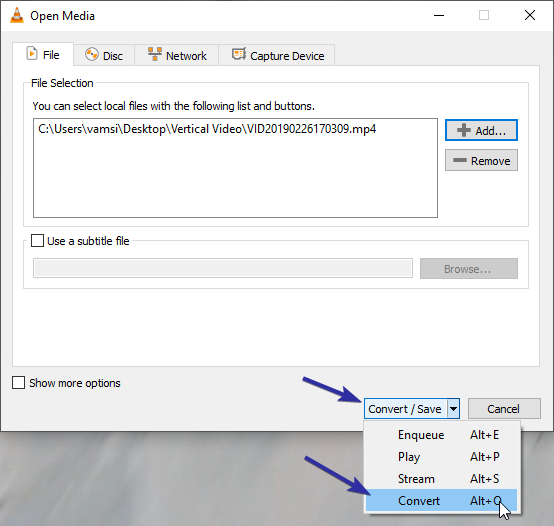 After rotating the video, go to "Media" and select the "Convert / Save" option. You can also press the keyboard shortcut Ctrl + R.
2. Here, you need to manually add the file. To do that, click on the "Add" button. 3. Go to where you've stored the video file, select it, and click on the "Open" button. In the main window, select "Convert / Save -> Convert" option. 4. Now, select "Video - H.264 + MP3 (MP4)" from the dropdown menu next to "Profiles". Next, click on the "Wrench" icon next to the dropdown menu. 5. Here, go to the "Video Codec" tab. Since we want to apply the transformation filter, go to the "Filters" tab. 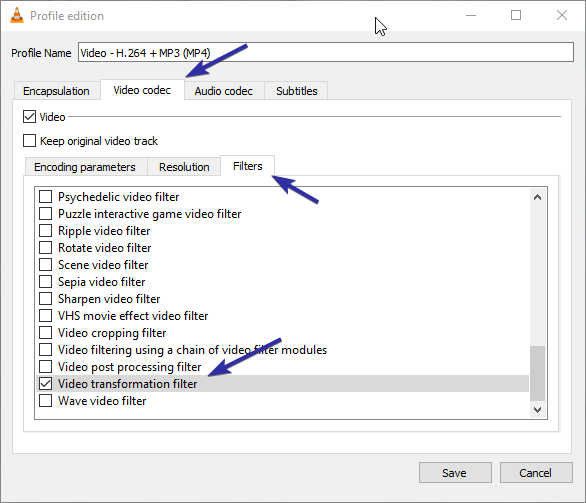 From the list of filters, find the "Video Transformation Filter", select the checkbox and click on the "Save" button. 6. We now need to select a destination to save the converted video. So, click on the "Browse" button in the main Convert window. 7. Go to where you want to save the file, give it a name and click on the "Save" button. 8. To start the conversion process, click on the "Start" button in the main Convert window. 9. Generally, VLC should immediately start the conversion process. 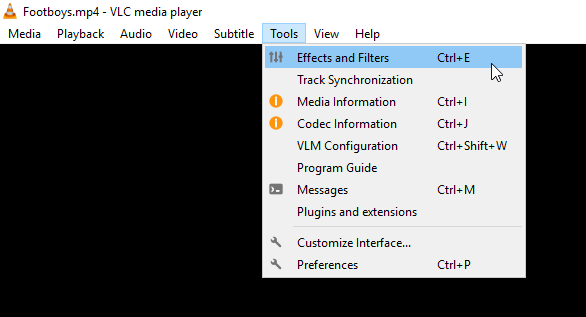 If no, hit the "Play" button in the main VLC window. This action should immediately start the process. 10. Depending on the resolution and how long the video is, it can take some time to complete the conversion process. You can see the progress on the VLC seek bar. 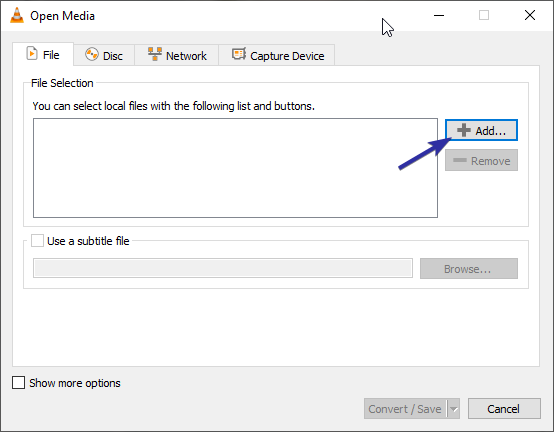 Once the conversion process has been completed, the file is automatically saved to the location you chose earlier in step 7. 11. There is one last thing you need to do. i.e, disable the transformation filter. To do that, go to "Tools -> Effects and Filters -> Geometry" and uncheck the "Transform" checkbox. Don't forget to hit the "Save" button to save the changes. That is all. 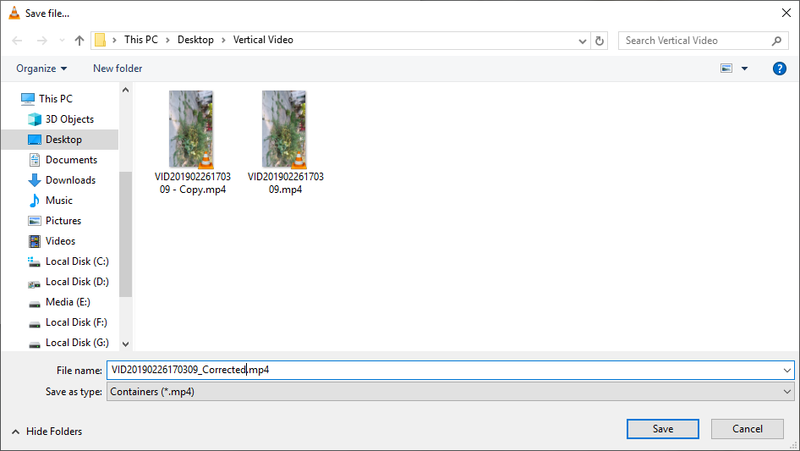 It is that simple to rotate and save the video in VLC on Windows 10. 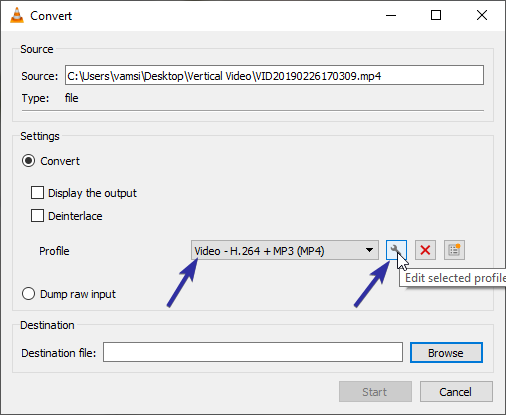 If you like this article, do check out how to convert M4A or M4B to MP3 using VLC and how to show download and upload speed on the taskbar in Windows 10.